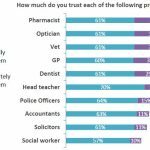 We’re all familiar with the age old line…“trust me I’m a doctor” but its days may well be numbered according to a recent poll commissioned by the Vet Futures project* and carried out by market research agency ICM Unlimited. 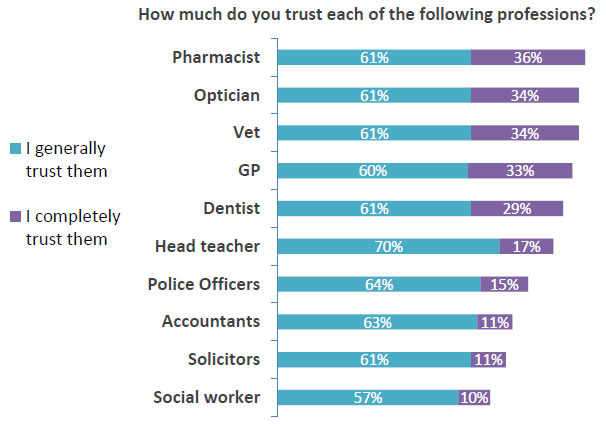 The online public omnibus survey received over 2000 responses from members of the public and revealed that 97% of respondents trusted pharmacists, putting them above a wide range of other key professions including opticians, dentists, vets, GPs, solicitors, accountants, police officers, head teachers and social workers. 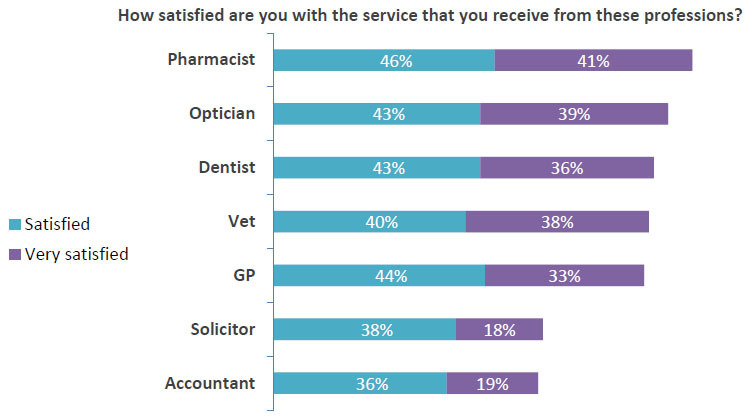 The survey also revealed that 87% of survey participants using pharmacy services were either satisfied or very satisfied with the service they received, again putting pharmacists in top ranking position. 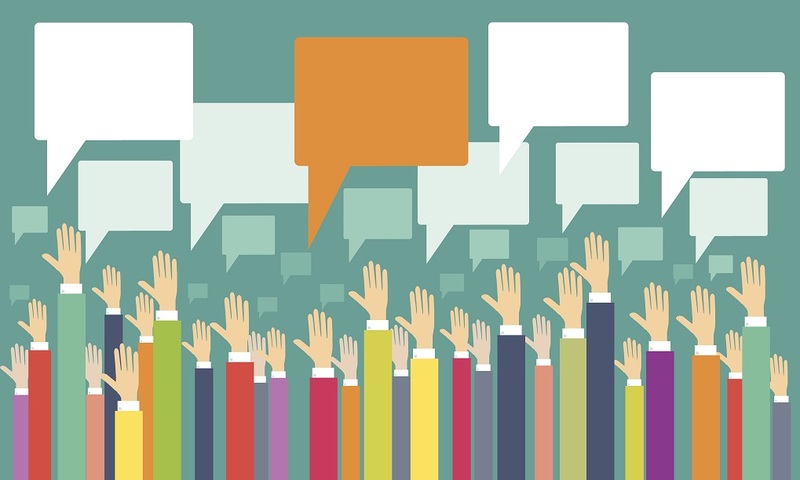 Please click on images below to view survey results. 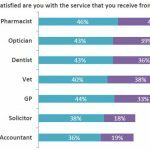 *Vet Futures is a joint initiative run by the Royal College of Veterinary Surgeons (RCVS) and the British Veterinary Association (BVA) to help the veterinary profession to prepare for, and shape its own future.